Something very special for you today? You are personally invited to join a Mug Rug swap that has been put together by myself and Michele at the Quilting Gallery. Our swap was so popular last year that we couldn't resist the temptation to do it all again. 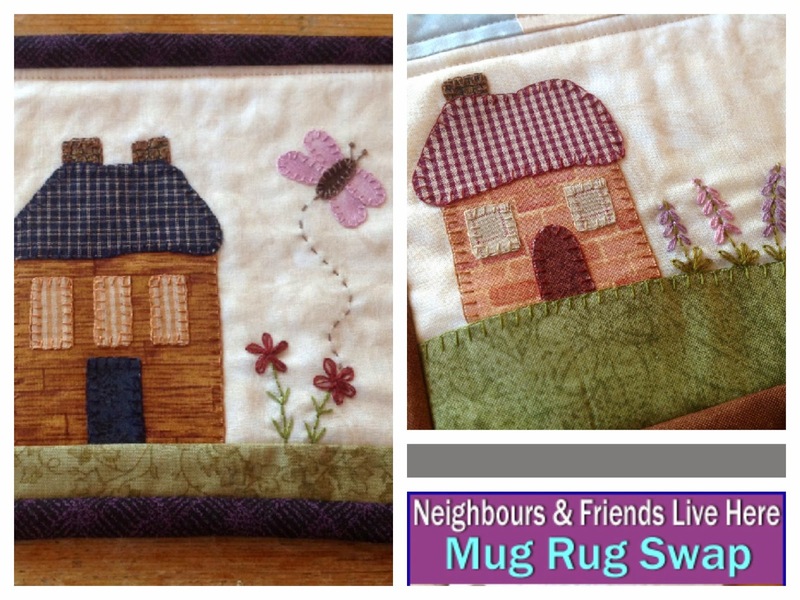 The theme this year is based on neighbours and friends and I have designed two projects for you to sew. If you are interested in having fun and meeting a like minded quilter from another country, this is a wonderful opportunity for you. Head on over to the Quilting Gallery now for all the information. If you have any further question please direct them to Michele, and feel free to pass on this invite to your other sewing friends as well. The more the merrier, but be quick registration closes soon. OMG! That's really cool. I'd a great fun to read this post. Yeah! It would be a fun to join Mug Rug Swap 2014. Thanks for inviting.